Creating an efficient and well-thought out business and marketing plan is no easy feat. The marketing research process involves a series of steps designed to help businesses identify opportunities and evaluate their decisions using measurable data. While there is no doubt that conducting market research is one of the most important components of marketing, many businesses make the mistake of bypassing the process. Little or no market research can adversely affect the growth and long-term success of a business. Learn more below about the marketing research process and you can benefit from the professional help of a digital marketing agency. No matter how large your business, you cannot afford to target everyone. Instead, it is important that you narrow down your audience by targeting a niche market. Creating a target audience does not mean certain people are excluded from using your products or services, but rather you are using your marketing budget to attract people who are specifically looking for the type of service you provide. Locating your target audience is one of the most effective, efficient and affordable ways to reach potential clients and generate more business. 2. What Is Your Audience Looking for? While you may have found an audience that is interested in your industry, it is important to know exactly what your audience is looking for. To understand your target audience, ask yourself a few simple questions: What problems does my company’s product or service aim to solve? Who are my existing customers? Who is my competition? and What do customers stand to gain by choosing my company instead of my competitors? When determining if your target audience is right for your business, consider if they are looking for your product or service, agree with your content’s mission, and meets your main audience demographic. 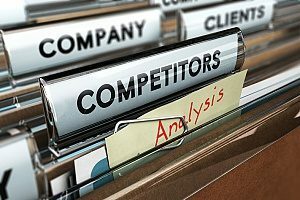 Competitive analysis is a valuable tool that can help boost your business marketing activity by making it possible to determine where you stand compared to your competitors. Determining what your competitors are doing is not about stealing their brand or ideas, but how you can position your business to stand above the rest. There are a number of ways to find out what your competitors are doing, such as by attending professional conferences, analyzing industry reports, searching your competitors websites and SEO strategies, and comparing their social media marketing strengths and weaknesses. 4. What Services Produce the Greatest Revenue? It is only natural that you want to put a bulk of your company’s focus on products or services that produce the most revenue. By performing a sales trend analysis, you can learn more about your sales and your customers’ buying habits. Performing a sales trend analysis can provide business owners with insight about the inner workings of their companies. By using sales data, you can make better decisions in regards to marketing and set your prices accordingly. By measuring your growth, you can also gain the strength to seek out new opportunities, as well as target potential problems. 5. How Can I Best Showcase My Services? Once you have determined which products and services produce the greatest revenue, you should also find the best ways to showcase them. With the rapid growth of the internet, there is no better place to showcase your services then online. Start by showing attention to detail. Even products made on an assembly line are checked over by a real person for quality control. Introduce words that help convey the quality of your product, such as “handcrafted,” “custom-made,” or “craftsmanship.” Many businesses also find success by associating their product or service with luxury appeal. 6. What Has Worked in the Past? One of the best ways to proceed with the marketing research process is by looking to the past. Consider what tactics have worked successfully in the past and which have not. Remember that just because a strategy was unsuccessful, does not mean you cannot try it again. It does mean; however, that you should take the proper steps to adjust your tactic to ensure a more successful outcome. Also take note of what strategies your competitors have used in the past and which ones they currently use. 7. Am I Collecting Enough Data for My Marketing Research Process? Nearly everything you do in the marketing research process is based off of industry data. There are a number of ways you can collect data, but not all businesses take advantage of the various opportunities presented to them. Depending on the type and amount of data you need, you may want to find a variety of methods that fit your budget. Personal face-to-face and telephone interviews can be highly useful but typically require the use of a data collection agency. 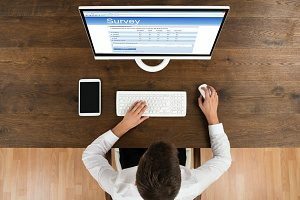 Internet surveys are lower cost, are not as personal, and can be completed in a matter of days rather than weeks or months. Engaging in the marketing research process is a simple and effective way to test a product or service before it is released to the public. Through marketing research, you can help pinpoint your target audience and the markets that you need to focus on to best sell your product or service. Through market research, you can also predict how your audience will most likely respond to your product or service. 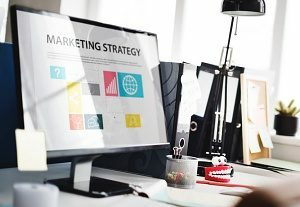 However, as the marketing research process can be highly time-consuming and a costly endeavor, it is important to know the proper steps to take to avoid wasted time and money. Market research can be overwhelming, especially if you are not familiar with the process. Sometimes, conducting the market research you want is not always feasible due to tight budget restraints. Having someone to guide you through the process can help ensure that you create the connections you need for the best possible results. The professionals at 321 Web Marketing can help. For more information about the marketing research process or to receive a free marketing research analysis for your business, contact a professional digital marketing agency today.